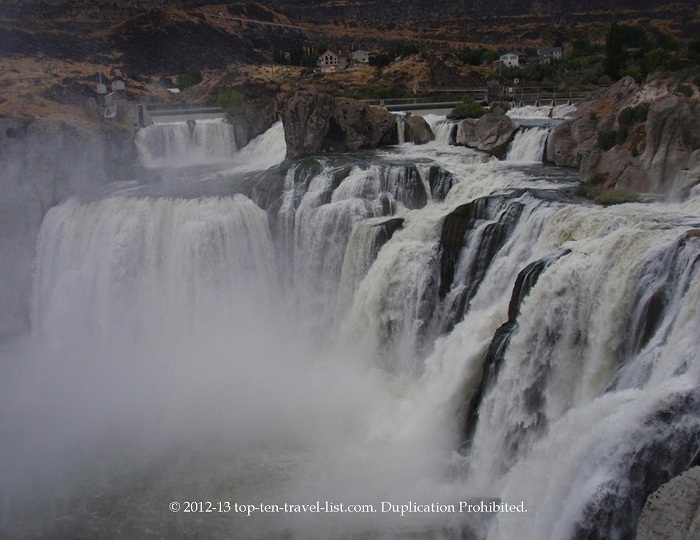 5 Jaw Dropping Waterfalls - Top Ten Travel Blog | Our experiences traveling throughout the US. Waterfalls are one of the most scenic natural wonders found on Earth. They can be found in various locations throughout the US. While some are easy to get to, others require a lengthy hike. All waterfalls maintain their own beauty, no matter the size, shape, or intensity of the water flow. There are few aspects in nature more awe-inspiring than a gorgeous waterfall. Listed below are 5 amazing waterfalls, found both in the Eastern and Western states. What is the most scenic waterfall you have ever visited? Have you been to any on the list below? Which world-wide waterfalls would you add to your bucket list? Niagara Falls, the collective name for 3 US & Canadian waterfalls, is one of the most magnificent natural wonders on Earth. 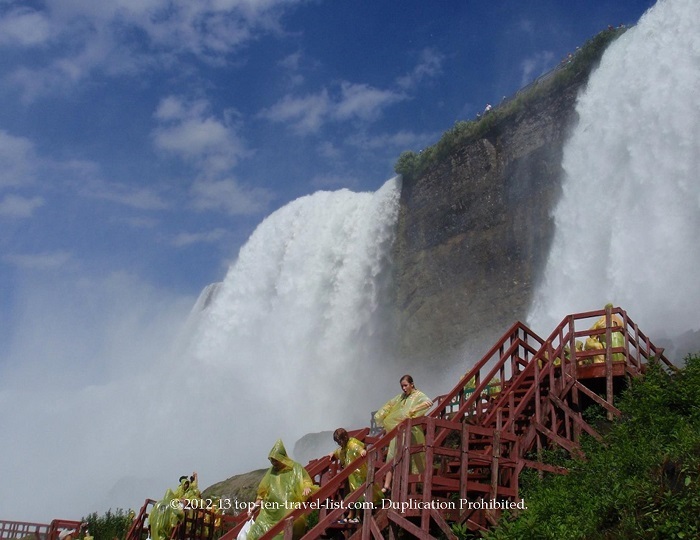 The American and Bridal Veil Falls are both located on the US side, while the Horseshoe Falls lie on the Canadian side. Horseshoe Falls is the most powerful waterfall in North America, as based on the flow rate and vertical height. 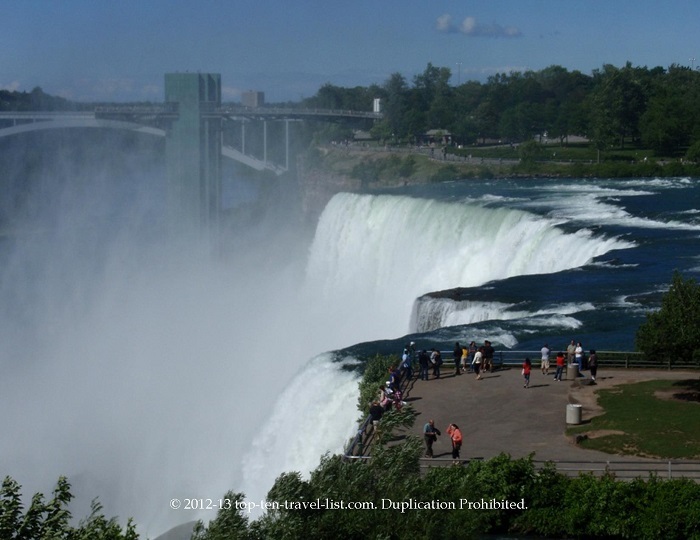 The highest point of the US Falls includes the American Falls at 183 feet & 181 feet for Bridal Veil. Canada’s Horseshoe Falls reach a height of 173 feet. The Falls are a spectacular sight, especially for photographers. They rank amongst the most popular photographed natural attractions. Both daytime and nighttime offer amazing opportunities. Check out the nightly illumination show where the falls are brightly lit up in a rainbow of magnificent colors. The Ontario skyline provides a nice background setting. Many tourist attractions take you up close and personal with the falls. Both Cave of the Winds and Maid of the Mist leave visitors with an incredible face to face experience. Cave of the Wind takes you on a walk across a wooden bridge over the Niagara River until reaching Hurricane Deck, where you are close enough to be soaked by the power of the falls. falls please visit the Niagara Live website. Although no hotels on the US side offer views of the falls, there are a few great options within walking distance of the falls. Howard Johnson Closest to the Falls is located just 2 blocks away from the falls, offers affordable rates, and includes a host of valuable amenities. 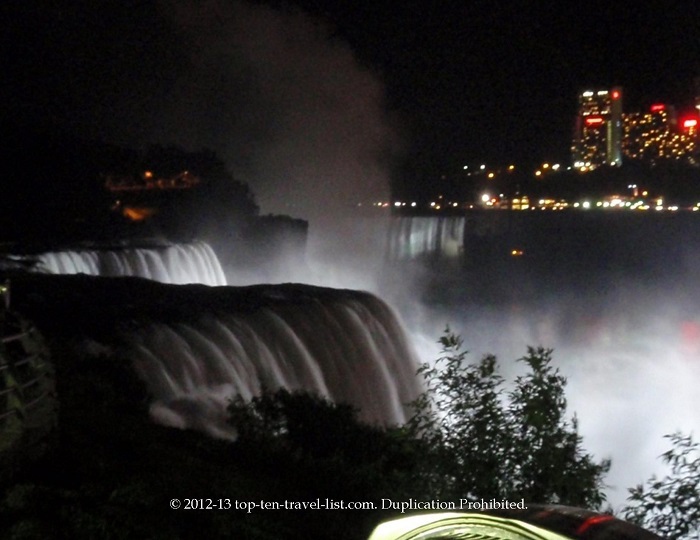 Visit my Niagara Falls Vacation Spotlight article for more information. Getting here: Niagara Falls is located in both New York and Canada. 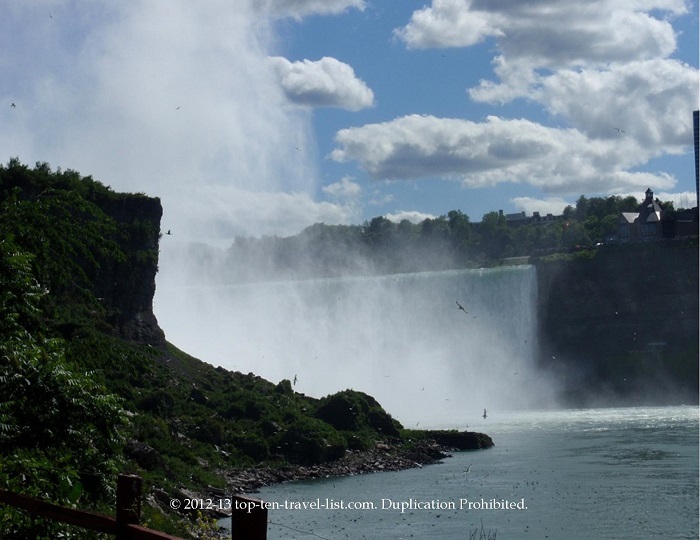 Niagara Falls, NY is located about 17 miles (45 min) from Buffalo & the Buffalo Niagara International Airport. Be aware that American citizens need a passport to enter the Canadian side. Buffalo and Toronto would be the nearest international airports. Mesa Falls, located in Southeastern Idaho along the Mesa Falls Scenic Byway, includes an Upper and Lower Falls, both with their own observing areas. 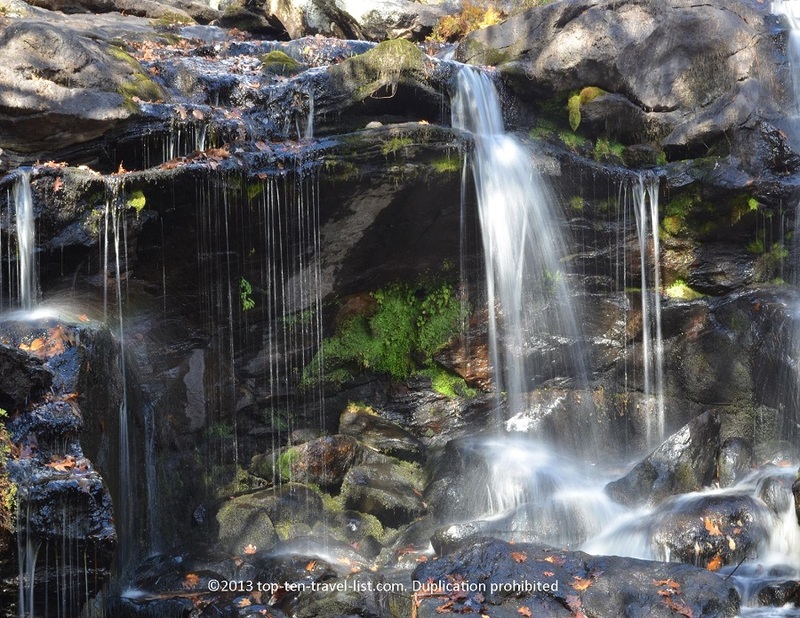 At 110 and 85 feet, these falls provide endless photography opportunities. The idyllic setting in the Caribou-Targhee National Forest places these falls among the most magnificent in the country. Being the only falls in the state not used for irrigation or hydroelectric projects leads to a more natural, relaxed setting. 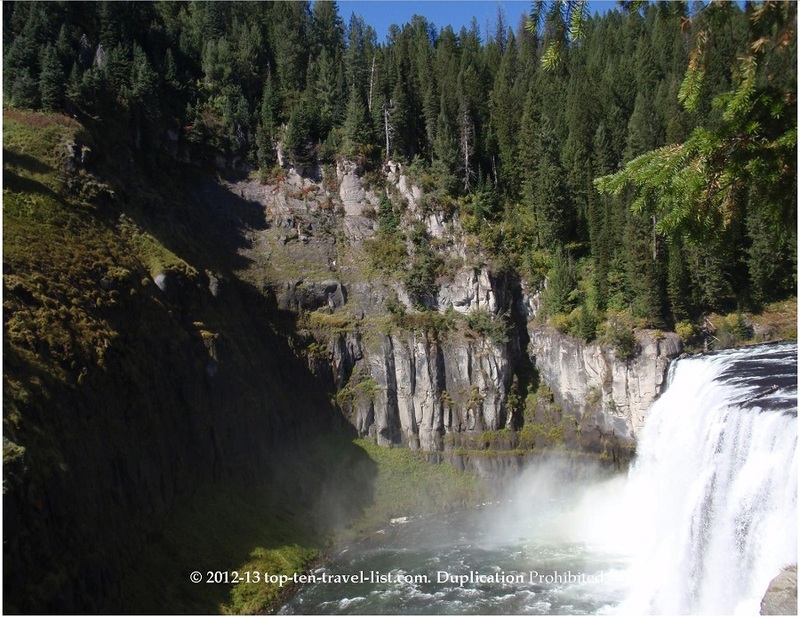 The 28 mile drive along the Mesa Falls Scenic Byway takes you through beautiful forests and rivers, including Harriman State Park, until you arrive at the amazing falls. 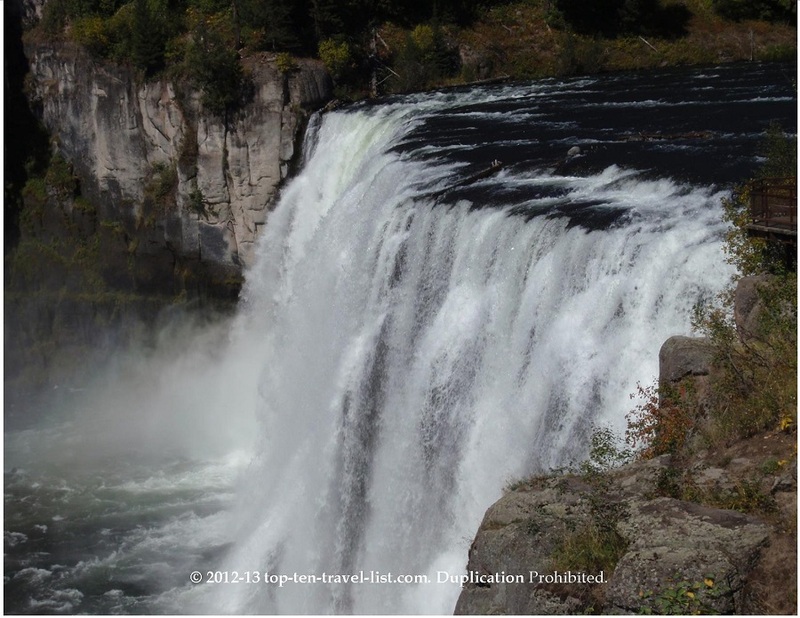 The Upper Falls, the more scenic of the 2, offers a wooden walkway path for viewing the falls. The dense forests and river both create the perfect setup for beautiful pictures. In addition, there are picnic tables and a small gift shop in the area. Those traveling from afar can stay in nearby towns such as Ashton, Rexburg, or Idaho Falls. 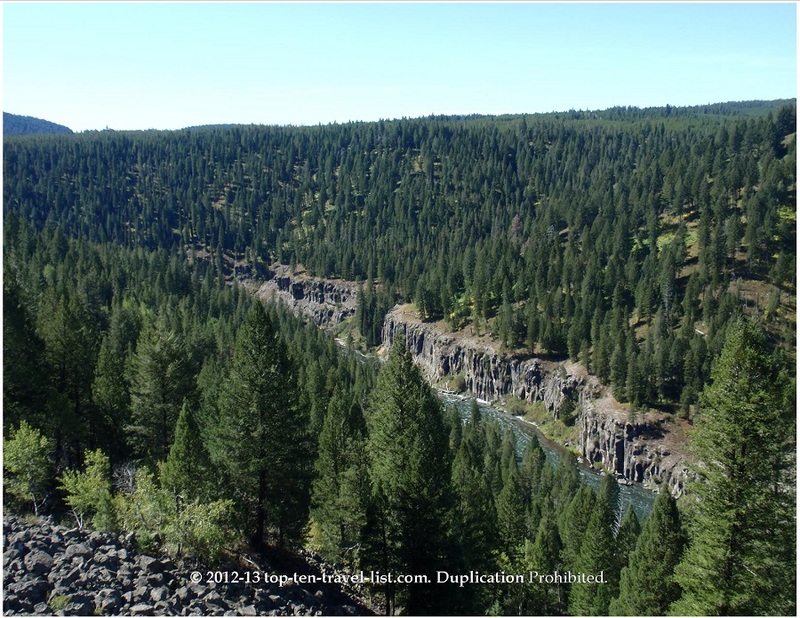 Mesa Falls Lodge in Ashton is a great option which is located just off the byway. 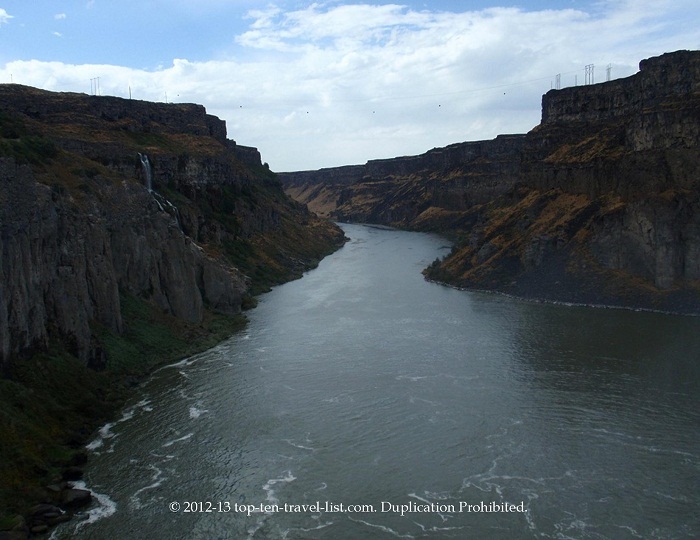 Getting here: The Mesa Falls Scenic Byway begins in Ashton, Idaho at the junction of US 20 and Idaho 47. 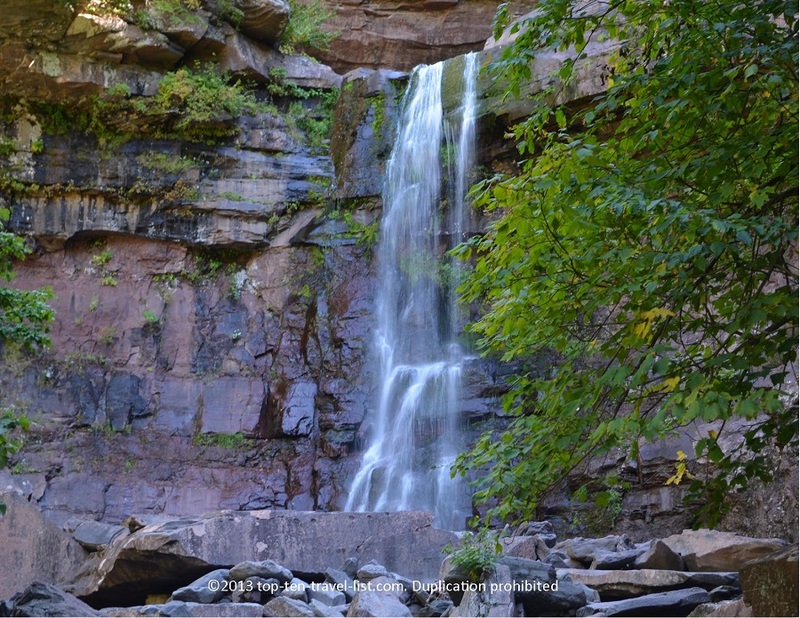 Kaaterskill Falls, a beautiful 2 tier waterfall in upstate New York, stands as the highest in NY state at 260 feet. This natural wonder is accessible through a small 0.75 mile hike through the woods. This peaceful walk through nature leads you to these breathtaking falls, an absolute must for any photographer. The short trail takes roughly an hour, making it the perfect day trip on any Catskill Mountain vacation. While you are here, make sure to also check out Bastion Falls, a 60-80 foot roadside wonder. 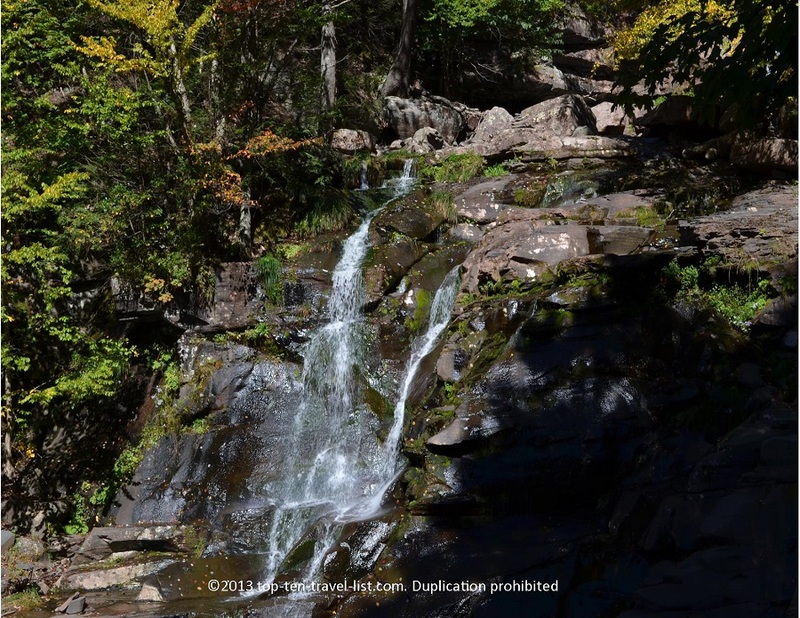 Bastion falls is conveniently located directly on Route 23A. Stop for a few photos here before proceeding on with your journey. Although these falls are less than half the size, they are still worth a visit. shaded, and scenic. It is mostly uphill, however, because of the short distance would be suitable for most beginning hikers. Getting here: The parking lot for the hike is located on Route 23A. You will walk about 0.25 miles until you reach the trail head sign. Follow the marked signs until you reach the waterfall (the hike should take 30-45 minute each way depending on your pace). Shoshone Falls is located in South Central Idaho, near the town of Twin Falls. This 212 feet waterfall, which stands 45 feet higher than Niagara, claims the title “Niagara of the West.” The falls are quite powerful, especially during the spring months when the winter snow begins to melt. The falls span a width of 1000 feet, making for an excellent view. The scenic location on the Snake River leads to some amazing views. Observation decks are available for the public. In addition, picnic tables and a few small trails are available for enjoying the afternoon. 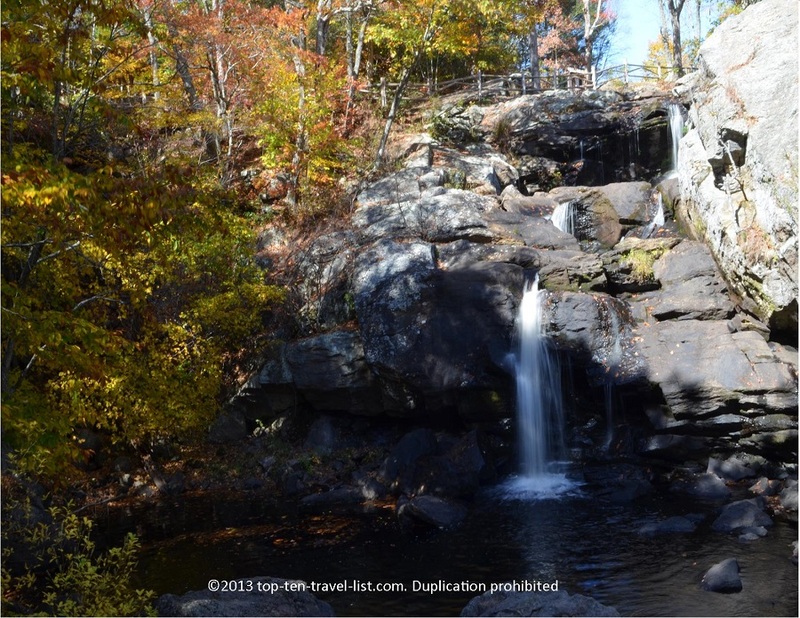 Chapman Falls is a beautiful 60 foot waterfall, found at Devil’s Hopyard State Park in East Haddam, Connecticut. This waterfall, although small, is incredibly powerful. The trees surrounding the falls provides the perfect setting, especially during fall foliage season. the ground with his hooves, thus creating the natural potholes that exist within the park. In addition to the beautiful falls, you will find several miles of hiking trails, river views, and an old covered bridge. East Haddam is one of the best towns for fall foliage, therefore, a fall visit would be ideal. Visit Fall is in the Air at Connecticut’s Devil’s Hopyard State Park for more information & pictures.